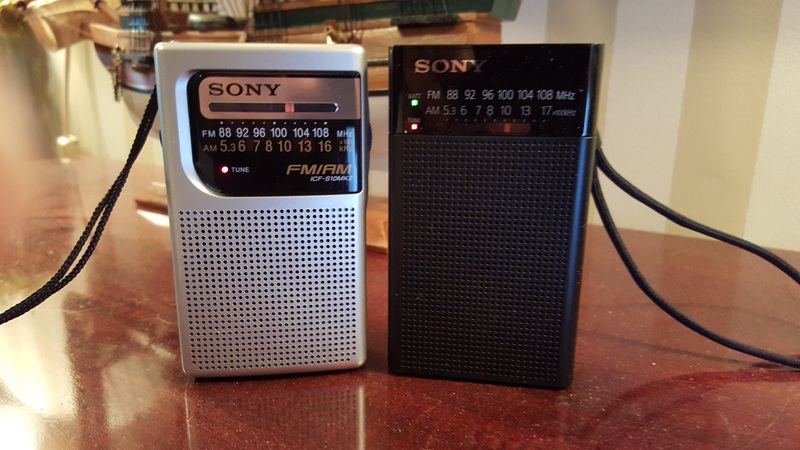 I’d read a few comments on line about a new Sony pocket-size portable AM/FM radio…the ICF-P26 and because it is so inexpensive (around $22 as of this writing) I thought it might be interesting to compare it to the same-sized and long available Sony ICF-S10 MKII. 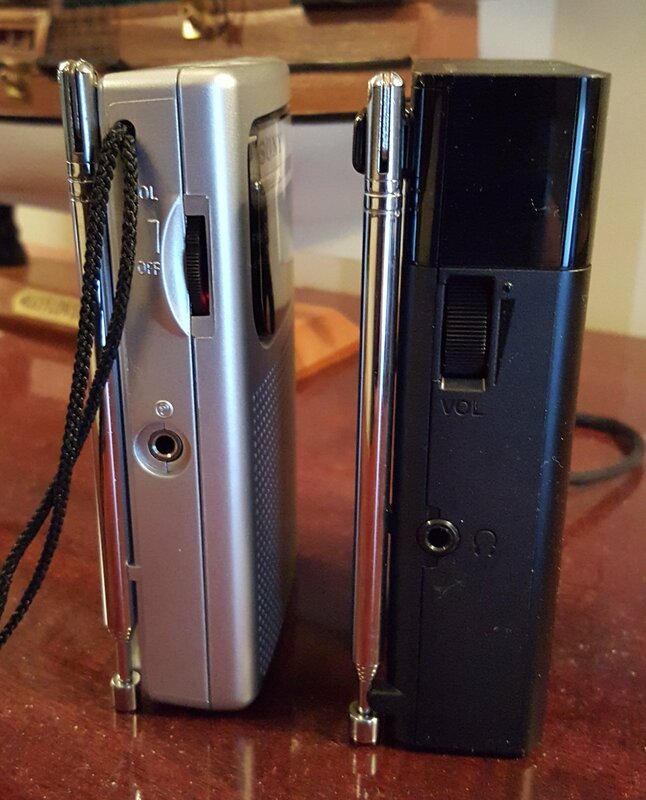 I found my ICF-S10 MKII at a drug store for about $11 several years ago and just found it on line for about $15 – $20 depending on seller. It is reasonable to assume prices for the ICF-P26 may fall after it has been available for a while. The new radio utilizes a CXA1019S IC which contains most of the active circuitry which has become common these days. The radio itself is straight forward with a simple On/Off slide switch which is also the AM/FM band selector, a thumb wheel volume control and a thumbwheel tuning control. There is a Tune LED which illuminates in accordance with maximum signal strength and is sensitive enough to allow for a usable indication even on weak signals…this Tune LED is somewhat more sensitive than on the ICF-S10 MKII. Their comparison is interesting because their size and layout are almost identical as you can see in the pictures. I put in two AA alkaline batteries and began to tune around first on AM then FM. Reception was pretty much what I expected…my normal local and suburban strength stations were there and seemed to be coming in well enough…my weaker out of town test stations were not there. This was as I expected but it did seem that the bottom of the AM band was not quite as good as the middle and top end of the band, while just the opposite seemed true on FM where reception seemed a bit better near the bottom of the band than on the top. FM selectivity was also only fair which meant that on my location’s crowded FM dial some weaker stations were buried by stronger signals near them on the dial. No big surprise there either…this is typical of inexpensive radios which are designed to let you hear your local stations on the go. Audio quality was fair for this class of radio…relatively thin sounding. It was OK at low to medium volumes but it distorted badly if you tried to get it a bit louder. 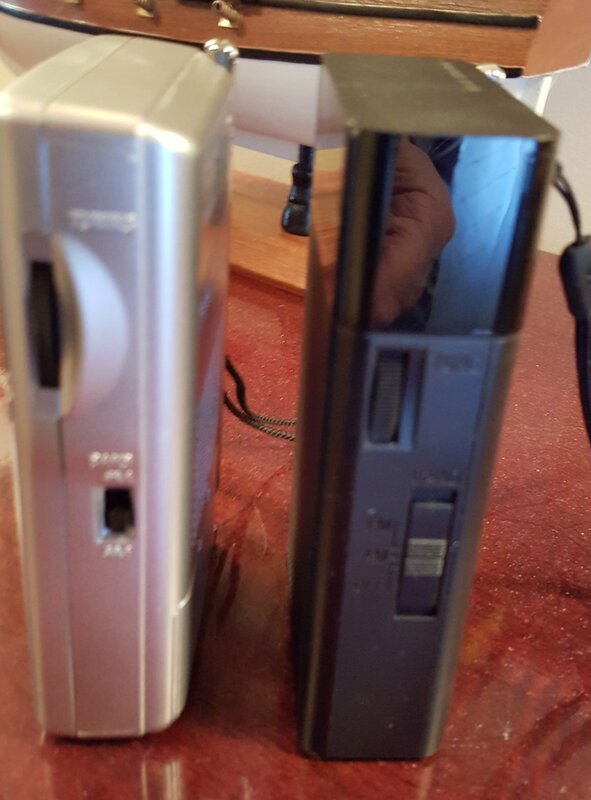 Then I put it next to the older Sony ICF-S10 MKII and I was a bit surprised. The first thing I noticed was that the older radio sounded quite a bit more natural and it could play louder as well. It was also a bit more sensitive on AM than the P26. I could tune in traces of my weaker out of town test signals which I could find no trace of on the P26. It was also more consistent across the band…the P26 approached the S10 MKII’s AM sensitivity near the top of the band but near the bottom of the band the difference was much greater. On FM they were closer and were both typical of what you would expect at this price point but again, the sound of the S10 made it more pleasant to listen to than the P26, especially at slightly higher volumes. I have also been asked how the ICF-P26 compares with the SRF-59? The SRF-59 easily beats it for AM reception and sound quality in earbuds. 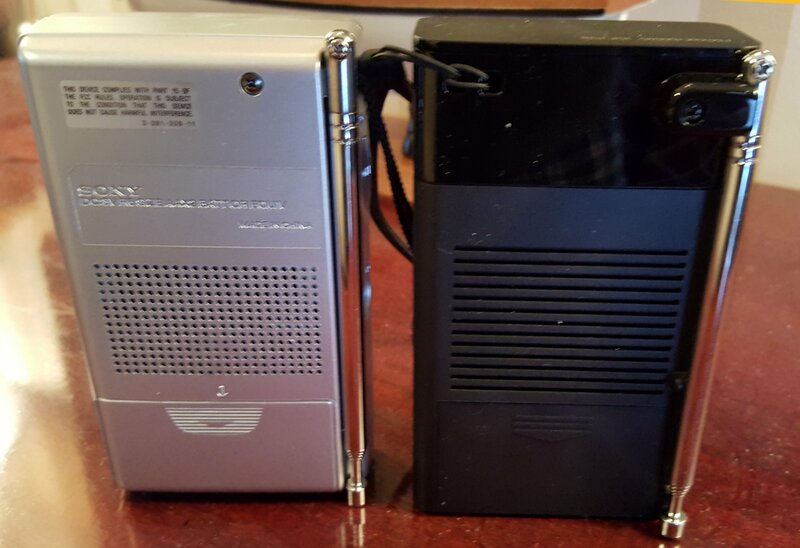 You might want to check out an article in which the older ICF-S10 MKII was one of 5 pocket portables I compared to get an idea of how these radios stack up against other competitors, and the AM Mega Shootout Article to see how the older ICF-S10MKII and SRF-59 compare, but the fact is that if I were in the market for a pocket AM/FM portable today I would choose the ICF-S10MKII over the ICF-P26. And for use with earbuds I’d choose the Sony SRF-59 over either, but to be fair it does cost about twice as much.